With innovative audio and infotainment solutions across multiple vehicles and model lines, HARMAN once again reinforces its leadership position as the technology partner of choice for OEMs around the globe, including Audi, Ford, Kia, and its newest partner, Bentley. 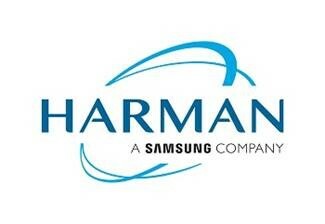 Frankfurt / Main – HARMAN International, a wholly-owned subsidiary of Samsung Electronics Co., Ltd. focused on connected technologies for automotive, consumer and enterprise markets, is presenting its cutting-edge audio technologies and solutions together with some of the world’s leading automotive OEM partners at this year’s IAA. With its impressive array of high-end solutions on display in many of the world’s premier car lines, HARMAN illustrates its position as the global Car Audio market and technology leader. Among its many Car Audio highlights at the show, HARMAN is unveiling a new partnership between its premium Bang & Olufsen car audio brand and luxury car manufacturer Bentley. Driving a Bentley means more than travelling between locations. With the addition of a luxurious, tailor-made Bang & Olufsen sound system, the new Bentley Continental GT demonstrates how the collaboration between the two brands elevates the in-car sound experience. The Bang & Olufsen speaker design features specially manufactured aluminum elements and illuminated speaker grills, creating unique and immersive moments in the car. The sound system combines 16 high-performance loudspeakers with a powerful 1,500-watt BeoCore Class-D scalable, 16-channel DSP amplifier with Bang & Olufsen BeoSonic for unmatched, realistic sound reproduction. Audi’s new flagship model A8 features luxury acoustics, courtesy of Bang & Olufsen. The Bang & Olufsen 3D Advanced Sound System includes Symphoria®, a revolutionary rendering solution for 3D surround reproduction developed by the Fraunhofer Institute for Integrated Circuits IIS. Symphoria works side by side with Bang & Olufsen’s multichannel matrix processing and Audi’s unparalleled design elegance for a breakthrough collaboration across audio, acoustics and design. The 3D Advanced Sound System comes with 23 high-performance loudspeakers with a 23-channel, 1920-watt Class D amplifier and the 3D Premium Sound System with 16 premium loudspeakers driven by a 16-channel, 755-watt Hybrid amplifier for a wonderfully realistic three-dimensional listening experience. Thanks to the extension of 3D sound to the rear seats via two additional satellite speakers in the ceiling, everyone is given a truly elevated listening experience. However, the A8 is only one element of the Bang & Olufsen 3D sound partnership with Audi. In total, 22 Audi cars featured at this year’s IAA are equipped with Bang & Olufsen sound solutions. One more Ford model vehicle, the new EcoSport, will join the Ford Fiesta offering premium sound experiences delivered by the B&O PLAY Sound System. Featuring proprietary HARMAN technologies and tuning capabilities to deliver a richer, more engaging listening experience, the B&O PLAY sound system includes tailored speaker placement and acoustic calibrations for each Ford model. The system’s dynamic tuning ensures optimal sound in the cabin no matter the driving conditions or where someone sits. The sound system features 10 high-performance speakers and is powered by 9 channels and 675 watts using HARMAN DSP technology. Kia’s high-performance Stinger features an equally powerful sound system courtesy of Harman Kardon. Harman Kardon audio enhances the Stinger driving experience with HARMAN Clari-Fi™ and QuantumLogic® Surround to create a best-in-class sound experience for its passengers. The Stinger sound system includes 15 high-performance speakers, including two subwoofers under the front seats, and is powered by a 720-watt amplifier. Working in close partnership with MINI vehicle developers, HARMAN sound specialists have customised a Harman Kardon hi-fi audio system specifically for the completely redeveloped MINI Countryman. MINI’s biggest small car is a triumph of space, functionality and flair, featuring 12 high-performance speakers, including two subwoofers under the front seats, as well as a 360-watt, Class-D DSP amplifier. The customised Harman Kardon Premium Sound System is providing the MINI Countryman with double audio power than the standard system and is also available for all other current MINIs. No matter what the specific MINI model might be, the system is always perfectly tuned for an exhilarating listening experience with concert feeling during every kind of drive – letting the music tell the story the way artists intended it to be heard. With the addition of the new smart electric drive and smart BRABUS models, JBL is now the sound system of choice for all smart models. The JBL premium sound system integrates a flexible, mobile sound system that is perfectly suited to the smart driving and lifestyle experience. Regardless of the music source, every note is played back perfectly through the JBL system, making the listening experience in smart vehicles more powerful and fun. smart forfour vehicles are equipped with 12 loudspeakers, a removable subwoofer in the trunk and an eight-channel DSP amplifier while the smart fortwo model includes eight speakers, a removable subwoofer in the trunk and a six-channel DSP amplifier. Customers purchasing a new Maserati Ghibli, Levante, GranTurismo/GranCabrio or Quattroporte are treated to one of two outstanding HARMAN audio systems – either a Harman Kardon premium sound system or a Bowers & Wilkins Surround Sound System. The elegant and sophisticated design of the Harman Kardon premium sound system was optimised for each vehicle cabin and perfectly matches the exclusive luxury of a Maserati while embracing the multi-sensory Maserati experience. 10 to 14 loudspeakers, powered by a 12-channel, 900-watt Class-D amplifier, ensure that all occupants experience precise dynamics and excellent sound balance. The Harman Kardon premium sound system is available in the complete Maserati model range: as an option in the Levante or Ghibli and as the standard sound system in the GranTurismo/GranCabrio and Quattroporte. Bowers & Wilkins engineers share with their counterparts at Maserati a passion for excellence and technological development. This is reflected in the use of exclusive materials like aluminum, Kevlar or Rohacell for the system loudspeakers. The available Bowers & Wilkins Surround Sound System was designed with the car architecture of each Maserati model in mind. Therefore, everyone in the vehicle can enjoy an unprecedented immersive sound experience courtesy of 15 or 17 speakers and a 16-channel, 1,280 watt Class-D amplifier combined with QuantumLogic® Surround sound processing as well as HARMAN’s Clari-Fi™ music restoration technology. Ferrari’s newest addition to its sports car family, the Portofino, is referencing one of Italy’s most beautiful towns and reflects its elegance, sportiness, and understated luxury. The same premium standards apply to the Portofino’s audio equipment, a powerful JBL Professional sound system to match the excellence of the car’s automotive engineering. It features 12 high-performance speakers as well as high efficiency transducers receiving input from a 12-channel, up to 1,500-watt Class-D amplifier. The QuantumLogic® Surround sound technology of the system creates an unprecedented 7.1-channel surround sound listening experience from any mono, stereo, or multichannel signal source. All BMW models are equipped with outstanding HARMAN audio systems, courtesy of either Harman Kardon or Bower & Wilkins. All sound systems feature the latest sound technologies and combine HARMAN’s and BMW’s dedication to detail and perfection to guarantee the highest sound quality possible. The design of the Harman Kardon Premium sound system is customised for each BMW cabin and is available in a variety of 1, 2, 3, 4, 5, 6, and 7 Series cars as well as the X1, X4, X5, M2, M3, i3, and i8 models. Harman Kardon is also at the very heart of the outstanding sound experience in the all-new X3, which is celebrating its world premiere at this year’s IAA. The customised sound system enhances the premium driving feel to create a unique sound experience, precise dynamics and an impressive wealth of detail. In addition to a 600-watt Class-D DSP amplifier with Logic7®-Surround, the system features 16 high-performance loudspeakers, including two subwoofers under the front seats. The Bowers & Wilkins Diamond Surround Sound System is available in various BMW 5, 6, and 7 Series vehicles as well as M5 and M6 models. It is also beautifully integrated into the interior of the all-new 6 Series Gran Turismo, where it redefines what is possible for sound quality within a car. The system was designed exclusively for BMW and features studio-grade acoustic technologies that have never before been seen in a commercial car. The Bowers & Wilkins Diamond Surround Sound System uses exclusive materials like diamond, Kevlar® or Rohacell® for its loudspeakers to create a truly revelatory acoustic experience and Nautilus® spiraling diffusion channels to reduce resonance to a minimum. The system combines 16 speakers with a 10-channel, 1,400-watt Class-D amplifier with QuantumLogic® surround sound processing. The new generation BMW 1 (5-door), 2 Coupé, 3 Touring, 6 GT, M5, X3, and i3 models are all celebrating their world premiere at the IAA. In addition to providing the finest car audio systems, HARMAN and BMW also continue to revolutionise the in-car infotainment experience to ensure it offers the latest safe, seamless and personalised driving features. E.g., a zoomable HDD-based 3D map navigation is standard, maps are stored on-board and are updated Over-the-Air via a reliable 4G connection. 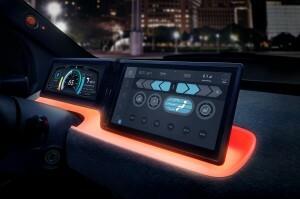 HARMAN and BMW are also the first in the industry to offer Apple CarPlay integration through a wireless connection. Other highlights include 360 surround view capabilities, adaptive cruise control, a multi-color head-up display, intelligent voice control, telematics services, remote services via the BMW Connected App and the BMW TeleService.